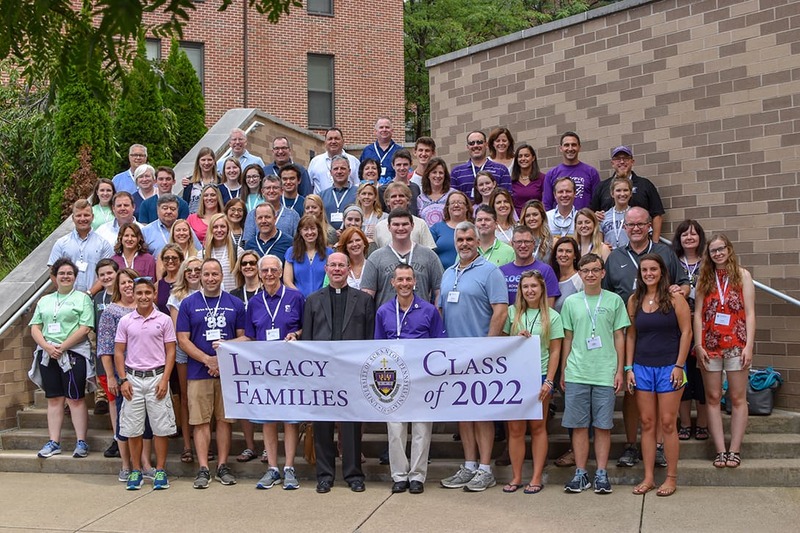 Incoming first-year students of University of Scranton alumni gathered together with their families Aug. 25 for The Class of 2022 Legacy Families Reception and Photo at Brennan Hall. Visit University Advancement's Shutterfly Page to see the photographs from this year's reception. Over the years, the Legacy Families Reception and Photo has become a University tradition. Prior to Convocation each year, incoming legacy students and their families gather together for a photograph with the University's president to mark the outset of their collegiate odyssey. Four years later, prior to commencement, the same families gather together with the University's president to mark the beginning of their journey as men and women for and with others beyond Scranton's borders.